Comments The color of the clear skies in springtime – a soft, clear blue that heralds the advent of freewheeling expansive summer days. It’s a color that the eyes look forward to in hope of freedom from the cold and glum times. 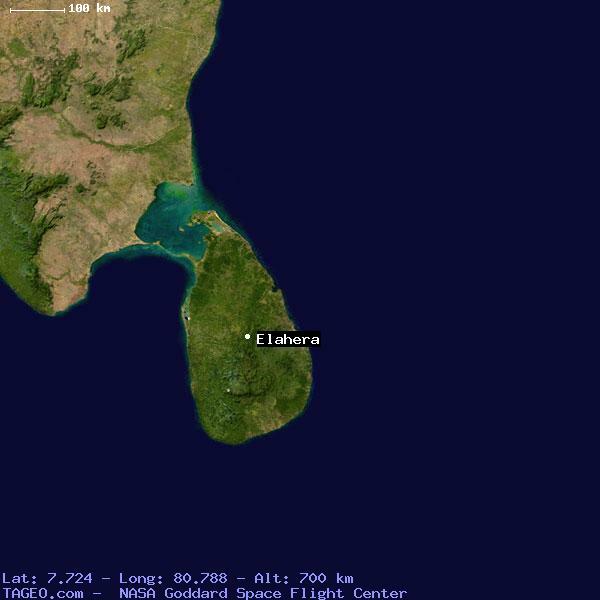 Featured today is one such wonder – a premium natural unheated and treatment free Ceylon blue sapphire. This fine oval shaped blue sapphire from Srilanka has a fantastic jyotish weight of 3.55 carats and has an appealing intense sky blue color. It has excellent clarity and superb lustre. 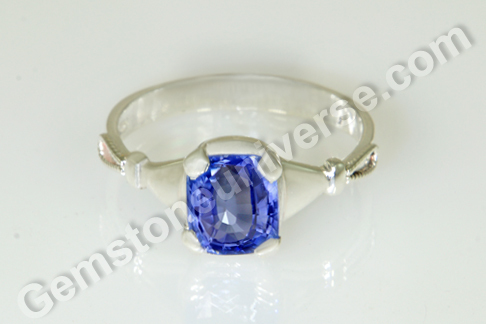 The blue sapphire has been set in Sterling silver as a Saturn talisman. Natural blue sapphire or neelam gemstone is the gem of Lord Saturn/ Shani and is used in a talisman to harness the energies of this planet. 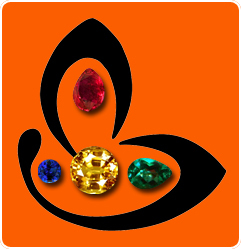 Individuals with Makar lagna and Kumbh lagna can wear the blue sapphire. 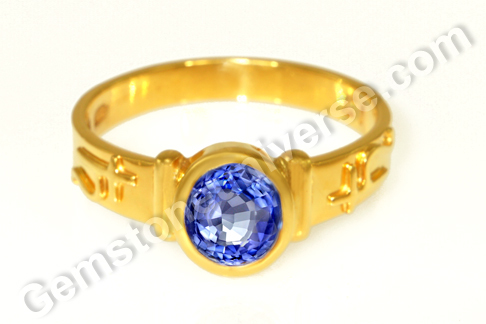 In other words, individuals with Capricorn or Aquarius ascendant in the natal chart can wear a blue sapphire. 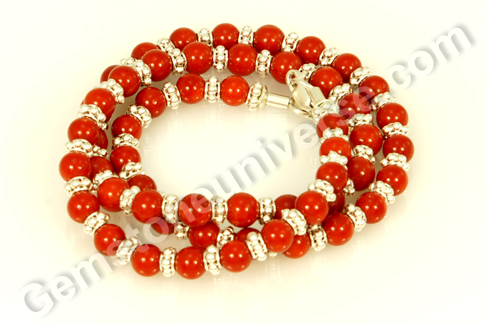 It is a gem that should be worn if Saturn is a yogkaraka for an individual throughout life and especially so during trying times like sade sati ( seven and half year cycle) or dhaiyya/kantaka shani, which lasts for a period of two and half years. Currently, the sade sati is in operation for the moon signs of Scorpio, Libra and Virgo. The moon signs of Cancer and Pisces are undergoing the dhaiyya of Saturn. 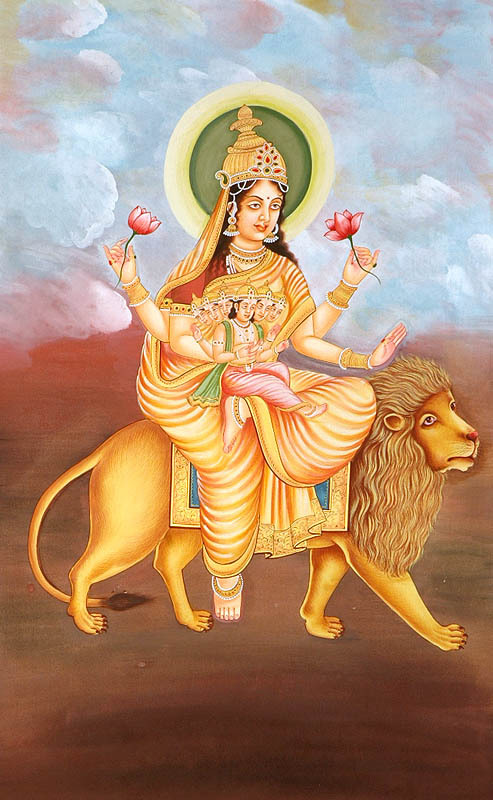 Comments The ninth day of the navratris marks the conclusion of the worship of the nine forms of Goddess Durga. This is the day Mother Siddhidatri is worshipped – she who can confer powers unbeknown to the humankind, the various siddhis! 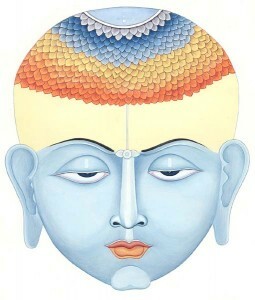 To siddh a power is to attain the power, and the capacity to bestow that power lies with Mother Siddhidatri. She is worshipped by the devas, asuras, gandharvas, kinnar, yakshas, manushyas. Shiva himself, worshipped her and was blessed with supernatural powers.According to the sacred texts, there are 8 main different types of siddhis. Goddess Siddhidatri is regarded as the amalgamation of the powers of eight other forms of Durga worshipped on previous days. सेव्यमाना सदा भूयात सिद्धिदा सिद्धिदायिनी !! Sevyamaana sada bhuyaat siddhida siddhi-daayini !! 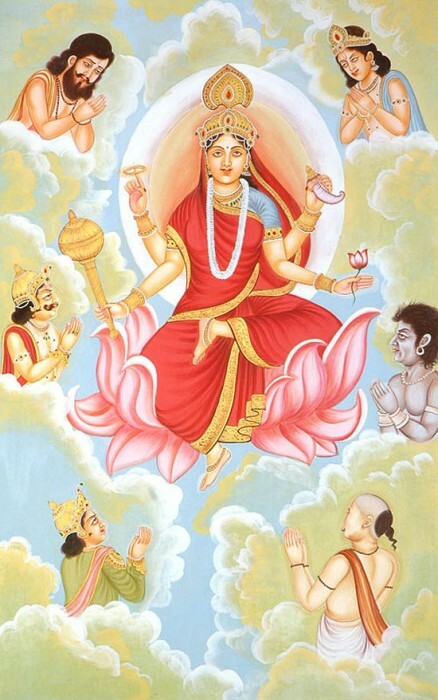 She is depicted as a goddess with four arms holding a mace, a disc, a lotus and a conch; clad in a red saree, seated in a lotus. She has the lion for her mount. 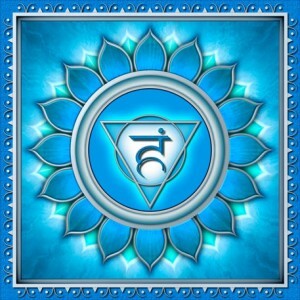 Featured today is a gem that represents the planetary energies that are all about mysticism and spiritual ascension, the journey of the soul. A fine chrysoberyl cat’s eye of 2.20 carats set in sterling silver as a Ketu talisman ring. 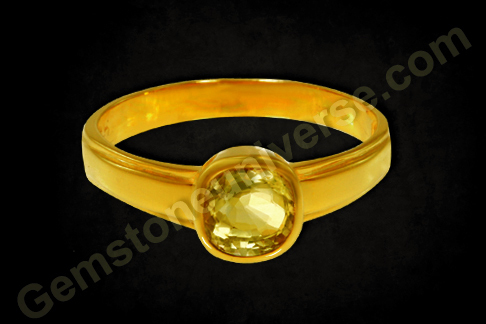 The cabochon cut natural chrysoberyl cat’s eye is a honey gold in color, has good translucence and chatoyancy. 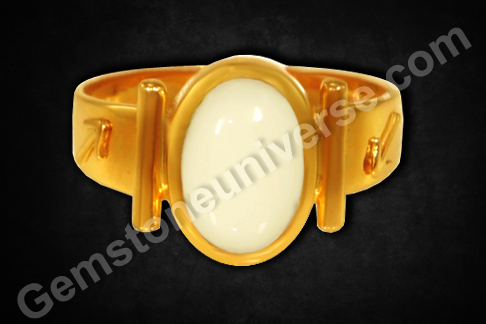 Natural Cat’s eye also known as vaidurya/ lehsunia/ bidalaksh is the gemstone of planet Ketu – the South node of the Moon that is represented by the image of a headless serpent. 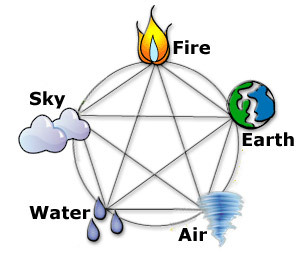 Ketu is the dervish of the zodiac. 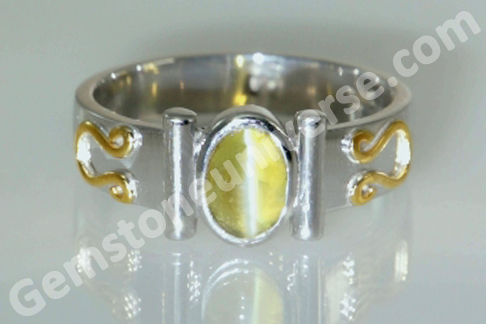 The ring featured today is a Ketu planetary bhasma ring where the sacred herbal ash of the kusha herb has been sealed in the tubular channel next to the gem. The symbol of Ketu stands in relief on the shanks. 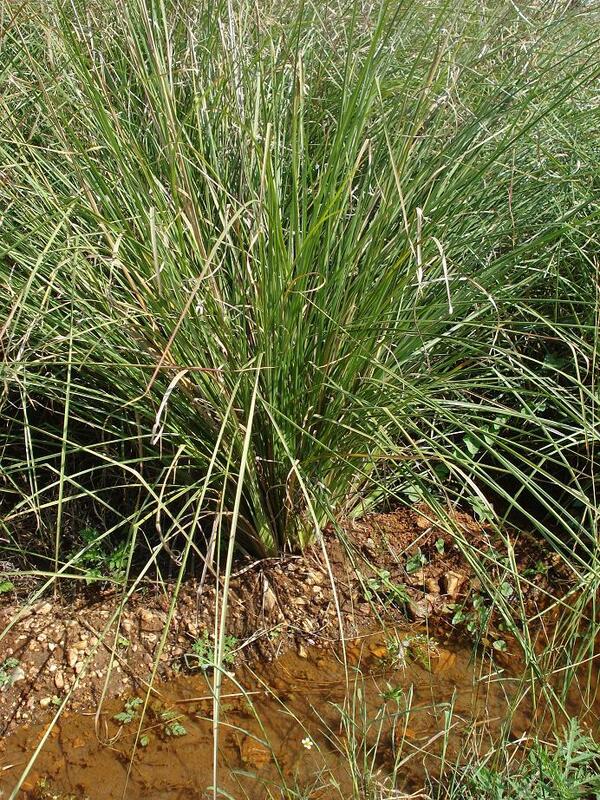 Kusha/ Vetiver is the herb of the planet Ketu. 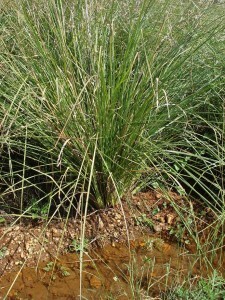 Prayer mats are often made of this grass and for getting the best spiritual results. Comments The fairest of the fair – white like the conch, the moon and the pearl is Mahagauri, the appellation of Durga that is worshipped on the eight day of the navratris. Mahagauri is a goddess who took up austere practices to get Shiva as her husband.Such was the extremity of her austerities and the duration of time that passed, she became completely dark and covered in dirt. Shiva, impressed the resolute devotion came and himself cleansed her, with the result that Mahagauri gained a cosmic radiance and gained her name. 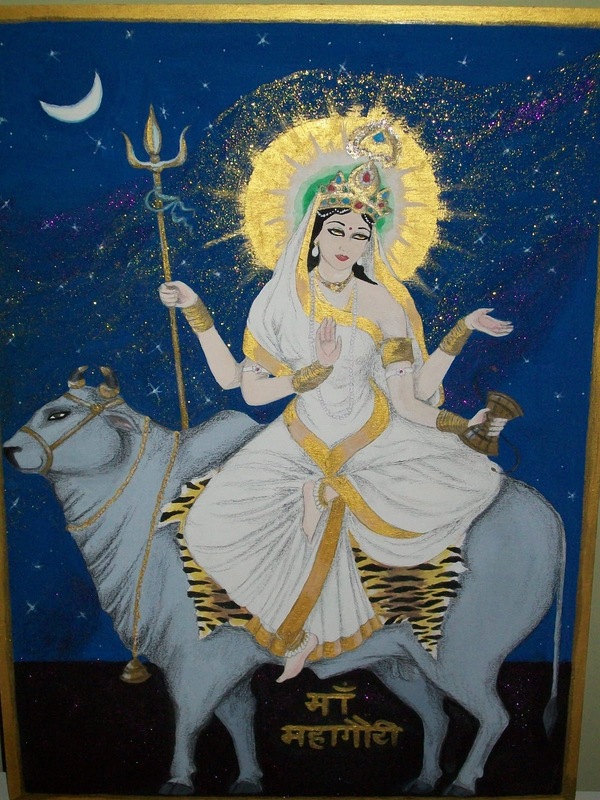 She is depicted as a radiant goddess, who rides a bull, has three eyes, four hands – in one hand she holds a trident, another a damru and the other two hands are in the varmudra and abhay mudra. 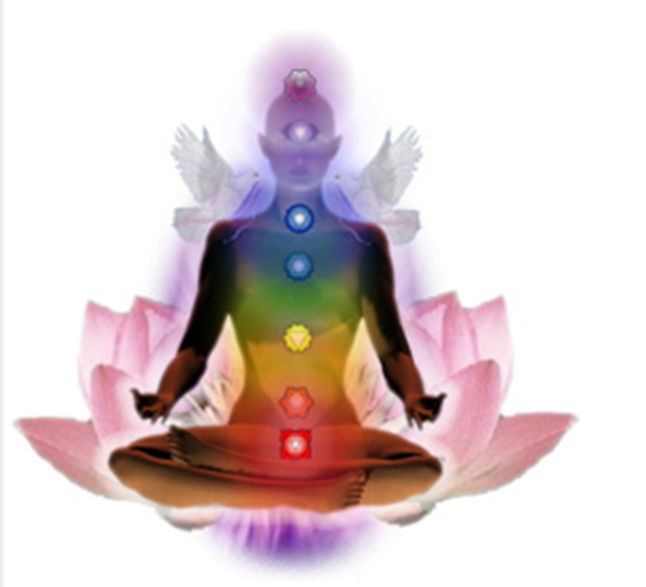 She is visualized by the yogi as an eight year old girl. This is precisely why Kumari Puja or “kanya pujan” is done on ashtami or the eighth day of the Navratris. This ritual is a homage to the virgin goddess. This day, the meditation is focused on all the chakras one by one, signifying the eternal journey of the soul. 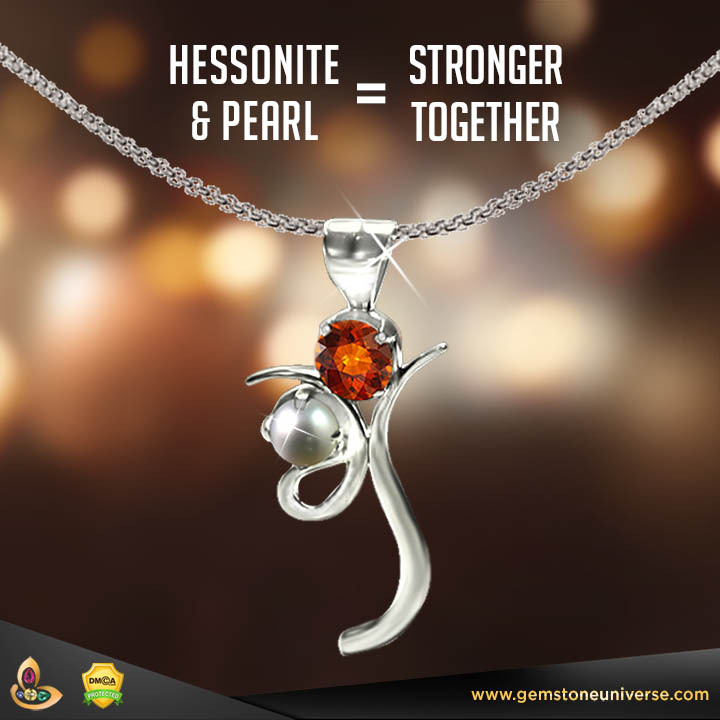 Featured today is a gem that has energies similar to that of Goddess Mahagauri – a natural and organic pearl of 2.73 carats set in sterling silver as a pendant. The round button shaped pearl is fully natural and treatment free. 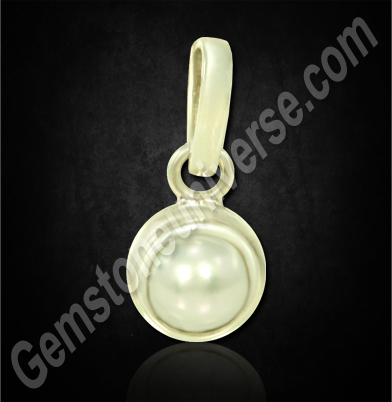 This natural Australian pearl has a radiant white color and has smooth and blemish free surface. Natural pearl or mukta/ moti is the gemstone of Planet Moon/ Chandra, the visible planet that actually symbolizes the divine feminine. 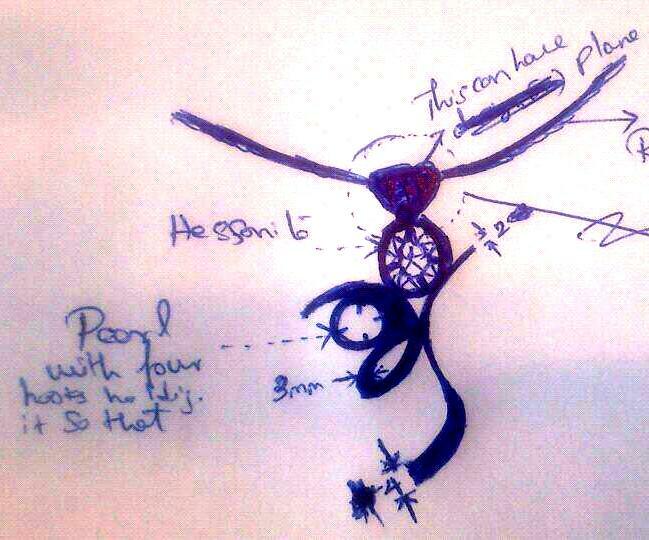 Natural pearl can be worn by individuals with Cancer ascendant or kark lagna. The sign of Cancer is ruled by Moon. Comments The seventh day of the navratri celebrates the form of Goddess Durga as Mother Kalratri. 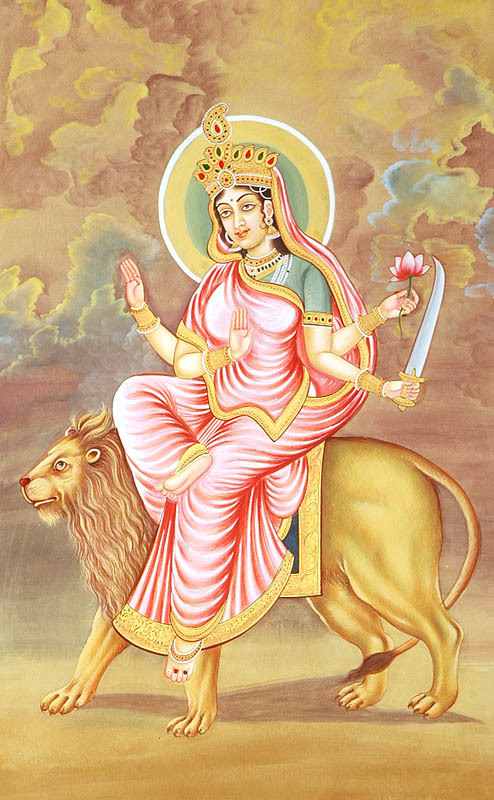 She is the most violent and fierce form of Durga. She, whose name literally means the night/ death of time. 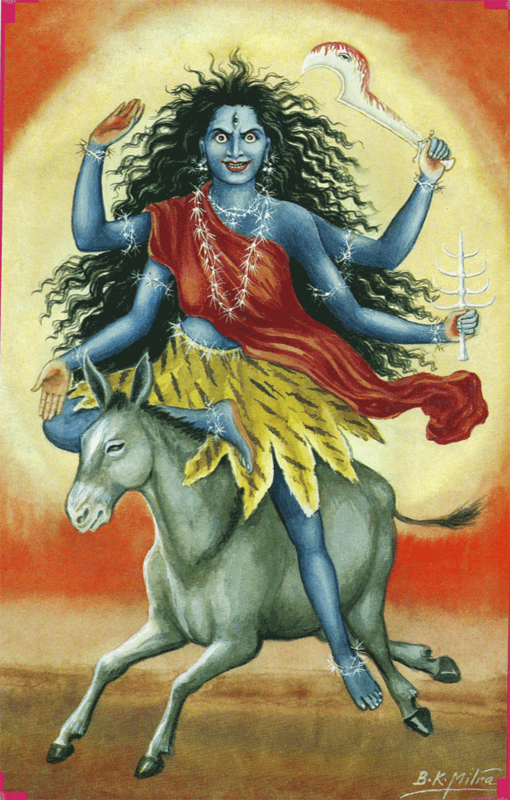 Mother Kalratri is depicted as a fierce one with blazing eyes, hair undone, four arms – two of which hold a cleaver and a torch and two hands are in the mudras of abhay (granting dreedom crom fear) and var ( granting a boon). She rides on a donkey and has a lightening like necklace. Maa Kaalratri is the one who annihilated the demon Raktbija, who could not be killed, as he had the boon of coming to new life with each drop of blood that fell to the ground. It only meant that more number of demons would be created. Kaalratri lapped up each drop of his blood before it reached the ground, after severing his head off. The worship of Mother Kaalratri is of great significance in the vaam marga or the tantrik tradition. This is a day when the energies are focussed on the sahasrara chakra or the crown chakra, represented by the thousand petalled lotus. 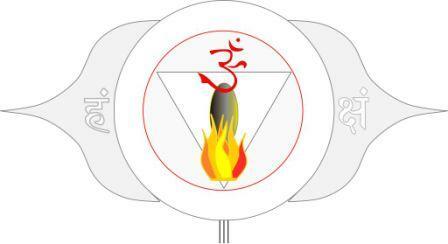 This is the realm of pure consciousness, where there is nothing but sat – chitta – ananda! Supreme bliss and absolute truth! 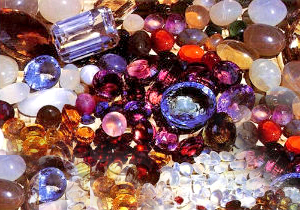 From among the navratnas, the gem that is similar in energies to Kaalratri is the blue sapphire. 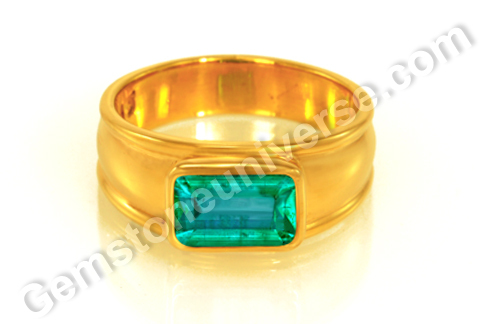 Featured today is a splendid gemstone – a fine natural unheated and treatment free Ceylon blue sapphire of 3.03 carats set in 22 karat gold as a Saturn talisman ring. 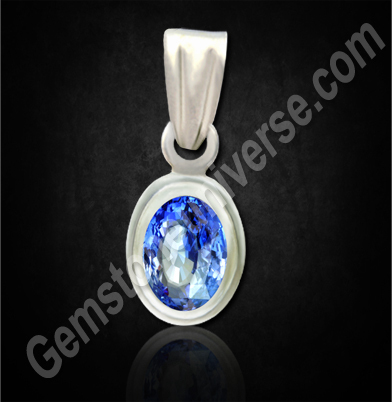 The oval cut blue sapphire gem is an appealing cornflower blue in color and possesses superb clarity and electric lustre.